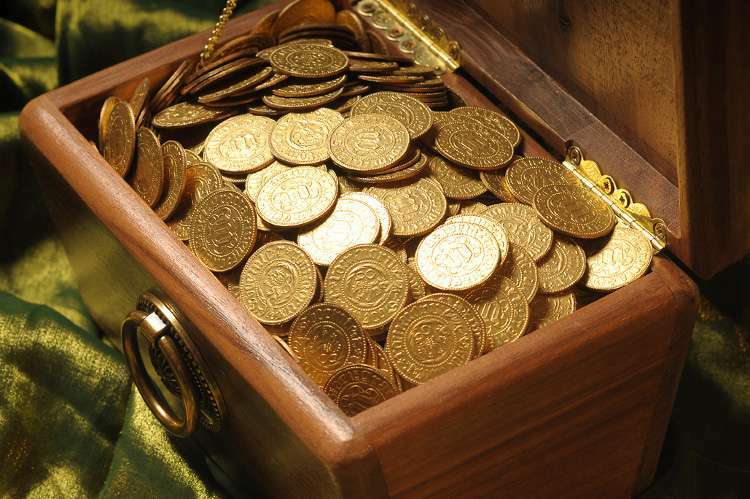 Gold treasure for small pirates and knights - replicas ducats Wencel IV. 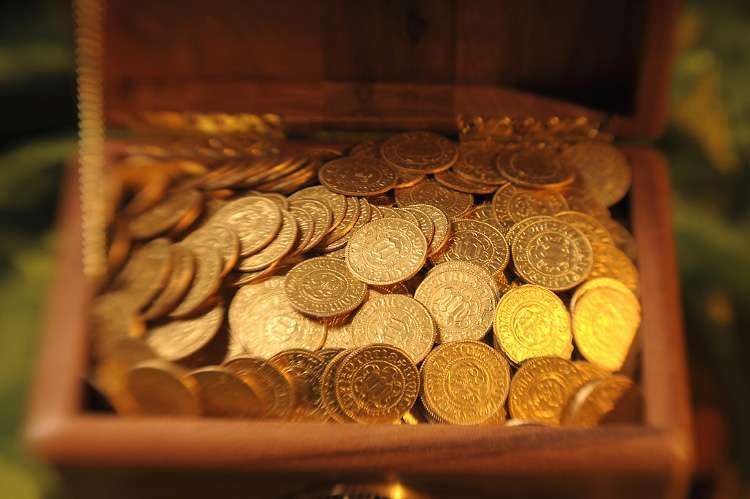 - Beautiful golden coins Czech Hussite period. 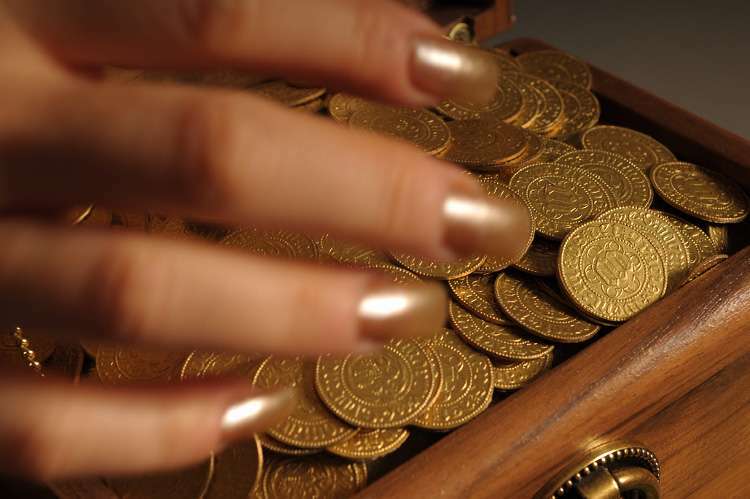 Replica coins are made of cardboard. Price is for 50 pieces.